I have made this Thanksgiving themed resource to help begin meet the needs of our 21st Century learners. The skills they will need will involve a capability of working in a digital environment. This activity focusses on coding. 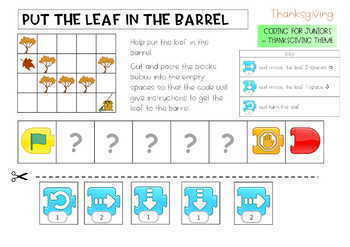 However it can equally be seen as a sequencing activity, a problem solving activity or a positional maths activity. This is an introductory activity to using coding. It doesn’t require the use of a device or access to the internet. 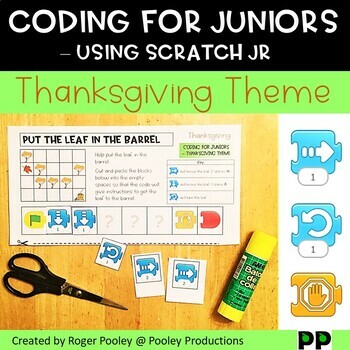 Though you may like to show students the actual Scratch Jr app as well. The success of these tasks is best achieved with plenty of prior discussion and modelling. 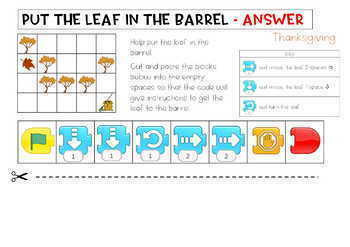 - Four worksheets of simple coding. The four increase in challenge.